As you come around the corner of College Avenue and Pugh Street in downtown State College, you pass a piece of living history. Tucked into the ground beneath Spats Cafe lies the All-American Rathskeller — a favorite for State College locals, students, and visiting alumni alike. An aura of finality rests over the historic bar as this week is the final week of its existence after its lease wasn’t renewed by the building’s new owners. Last call for the Skeller is on Saturday. For many Penn State students and State College residents, Thursday nights at the Skeller have become especially meaningful. Thursday means trivia night. This week, however, marks the final trivia night at the local favorite. He explained the Skeller was among the first of the State College bars to jump on the opportunity to bring trivia to that sort of setting. For those unfamiliar, Team Trivia is a live game of 20 questions in which teams compete by writing down their answers and bringing them up for inspection. For many, that old-school style is a major spot of appeal. And for Grazier, trivia has been a huge part of his life since his early 20s. There is no denying that Trivia Steve helped spark some friendships by bringing a beloved pastime to the Skeller. Grazier said some of his old regulars have told him that he’s played a big part in initiating some long-lasting friendships and relationships, whether it’s a first date or a weekly tradition. Those regulars tend not to forget about their matchmaker — a few have even asked him to DJ their weddings. All you really need to do is ask the trivia-goers how they feel about the Skeller and Team Trivia on Thursdays, and you’ll understand the importance it’s played in the lives of so many Penn Staters. As one can imagine, though, putting together a game of trivia isn’t the easiest task. What makes Team Trivia at the Skeller especially interesting is the student component of it all. Trivia Steve must curate a game that Penn Staters will both enjoy and know some answers to. While he says having to learn today’s pop culture keeps him young, there is a generational gap that leads to, as one would expect, differences in knowledge between college-aged people and older folks. Part of what’s made the ride so enjoyable for the trivia man is that it took place at the Skeller. The staff, which Grazier describes as “the best in the business,” has been well known for giving the bar that local feel. When you walk into the Skeller, you feel special, and a big piece of that happens because the staff and its customers interact and have experiences together that are unlike many others. While his game, as well as his infectious personality, became more and more associated with the bar, Trivia Steve has seemingly become integrated into the Skeller family. That’s led to some of the highest of highs in his life, but it’s also led to some tough times and heartbreak. The happy memories shared by those in the Skeller family will be what makes this final week difficult. A fixture of the bar for more than a decade, Trivia Steve was in “complete shock” when the announcement came in December that the bar would have its last call ever. Many of his long-time regulars, even a married couple in Wilkes-Barre with a newborn, will reconvene in the underground bar for the show to be there for the end of an era. 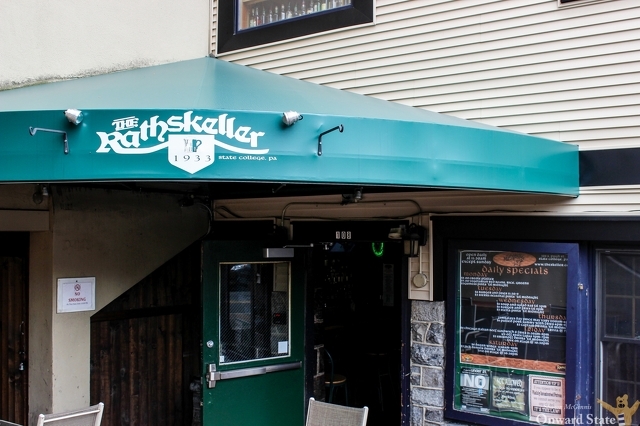 Thursday will be the last of the game at the Skeller, but thanks to Grazier for bringing it here years ago, it will continue at other State College bars. He hopes to continue hosting games for as long as he can. As Trivia Steve reflected on his time, he couldn’t have asked for a more exciting or rewarding job. Getting to be a gameshow host in a college town for a living has given him the thrill of a lifetime, a testament to the local trivia-goers and the bar that gave his idea a shot. “As tough as it is to say goodbye to a place that’s been such a huge part of my life for 12 years, we will definitely move on and we wish all of the people who work at the Skeller all of the success that life could bring them,” Grazier said. 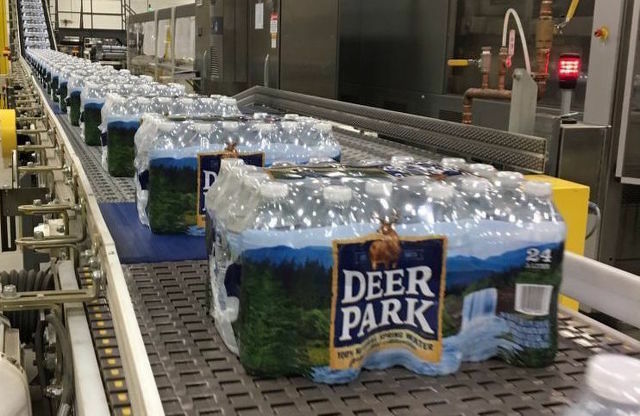 With hopes of building a bottling plant in Centre County, Nestle Waters came to the aid of county residents in need recently. Last week, the company gave 1,600 cases of free bottled water to more than 600 families in the Mountaintop community after leaks in the water lines have left some residents without clean drinking water.